Kurt passed away in the early morning hours of February 7, 2019 at the Russell & District Hospital with family at his side. Kurt was born November 4, 1933 to Rudolph and Frieda Zimmer in the Cracknell District. He struggled with a hearing problem ever since he was a child from a high fever. He went to school til grade 8 and worked on the mixed farm. He worked in the bush at lumber camps in his late teens and early twenties in Alberta and Ontario. He along with his dad and two brothers purchased the Russell Transport and operated it from 1957 to 1960. Kurt then worked for Carl Mante as a carpenter and also for Glue Rite. On July 2, 1960 he married Loretta Chandler. They purchased the Cliff Jackson half in June 1961. Those were tough years with it being so dry. They hauled hay from a long distance to feed the animals. Their first child, a son, Keith was born February, 1962. Soon after they purchased the Cusitar section of land 3 ½ miles west and south of Russell. A daughter Colleen was born in August, 1964. She was born with spina bifida and passed in May 1965. In 1969 and 1973 they purchased ½ section of the Mintenko land and ½ section Kominco land close to the valley. It was a beautiful, peaceful piece of land where the horses grazed and the fields grew. In 1966 Kurt and Loretta started a PMU operation on their land and continued grain farming. 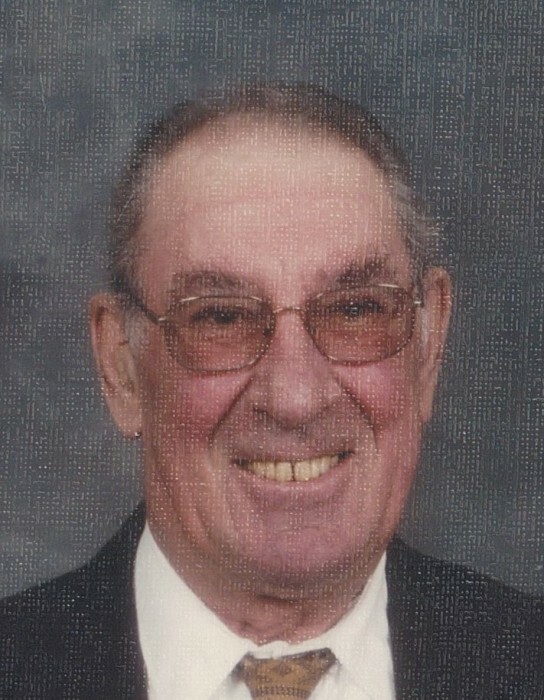 He was a councillor on the RM of Russell from 1966 to 1977. Their daughters, Bonnie, January, 1967 and Lori, February, 1971 were born while they continued building the mixed farming operation. It was a busy operation with work all summer to get ready to have the mares in the barn all winter. Kurt loved raising thoroughbred horses and took pride in his breeding stock and following them at the race tracks in Winnipeg, Regina and Saskatoon. They even got a satellite dish set up so they could watch the horse racing live on TV. They loved that until, of course, technology changed and they could no longer watch off the big dish. Keith worked the farm and PMU business with them until 1993 when he bought some land at Endcliff and set up his own PMU farm. Kurt and Loretta continued with the PMU and raising and following the thoroughbreds at the track. They opted out of the PMU business and 1996/97 was their last year of collection. It was sad watching all those beautiful mares being trucked away. They sold the land except for the home section which they rent out. They stayed on the farm til 2012 when they had a farm auction and moved into Russell where they currently reside. Kurt watched curling and some of the special horse races like the Kentucky Derby, etc on TV and made a trip to the farm everyday right up until he wasn’t feeling well enough to drive. Kurt is predeceased by daughter Colleen, infant sister Gloria, brothers Max and Ralph, father Rudolph, mother Frieda, brothers-in-law Gordon and Wes and sister in law Marjorie as well as other cousins, uncles and aunts. Kurt is survived by his loving wife of 58 years Loretta, his son Keith (Jennifer), daughters Bonnie (Rob) Scebenski and Lori Bedwell. Grandchildren Patti, Missy (John Dunn), Kurtis, Marla (Jon) Sylvester, Marci, Josie (Jesse) Bushman, Ryan Scebenski, Eliah Bedwell and Jenna Bedwell and ten great grandchildren. Sisters Edna (Bill) Thompson and Eleanor (Ken) Reykjalin and several nieces and nephews.